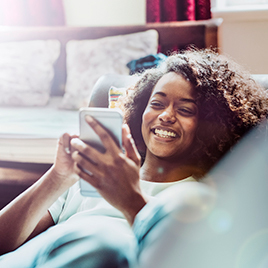 If you've recently purchased—or plan to purchase—eligible energy-efficient products or services for your home, you could qualify for the RBC Energy Saver Loan. This innovative and green financing solution can help you create a more energy-efficient home while saving on your borrowing costs. Unique Savings. Receive 1% off the loan interest rate or a $100 rebate on a home energy audit on a fixed rate instalment loan over $5,000 when you purchase eligible products or services. Flexible Terms. Choose how long you'd like to take to pay off your loan—terms range from 5-10 years depending on the loan amount. Easy Payment Options. Make your loan payment monthly, semi–monthly, bi-weekly or weekly. You can have it deducted automatically from your chequing account with RBC Royal Bank or another bank. No Early Prepayment Charges. Pay more than your fixed payment at any time, or even pay off your loan in full, without penalty. Skip-a-Payment Option. Skip up to the equivalent of 1 monthly payment each year4disclaimer, without penalty. Optional LoanProtector® Insurance. Designed to provide financial backup during difficult times, LoanProtector life and disability or critical illness insurance provides low-cost, valuable protection for you and your family. A home energy audit is a report generated by a licensed professional who is specially trained to examine your home's major heating and cooling systems. He or she will make recommendations to help you improve your home's energy efficiency and lower your energy costs. You can then decide what you want to do and how much you want to spend. Choose a licensed home auditor through the Natural Resources Canada website at www.nrcan.gc.ca/energy. Obtain quotes from a few auditors and choose one that you feel offers the best overall value. Once your audit is complete, obtain a receipt or invoice from the auditor for a refund from RBC. Submit your audit receipt or invoice to your RBC branch within 120 days of receiving your RBC Energy Saver Loan. Complete some or all of the suggested renovations and improvements and have your home auditor return to verify the work. Your auditor will submit an application on your behalf to both the federal and provincial governments. Our credit specialists will help you select the credit solution that is right for you. Subject to Royal Bank of Canada standard lending criteria. Must be a fixed rate installment loan of at least $5,000. Audit can be done 90 days before loan advance date or 90 days after loan advance date and can be submitted 120 days after loan advance date. Offer begins February 15, 2009 and is available until further notice. Amount of rebate will be the actual invoiced amount of the home energy audit, up to a maximum of $100. Offer may be withdrawn at any time. Cannot be combined with any other offer. Available on residential mortgages, both purchases and re-finances, including the RBC Homeline Plan with a minimum term of three years fixed closed or five–year variable closed. This offer is available until further notice. Offer may be withdrawn at any time. The minimum mortgage amount must be $25,000. Cannot be combined with any other offer. Audit must be completed within 90 days of mortgage advance and submitted within 120 days of mortgage advance for refund. Amount of rebate will be the actual invoiced amount of the home energy audit, up to a maximum amount of $300. The principal and interest portion of any skipped payment will remain outstanding until the end of the term of your loan at which time the skipped payment must be repaid. Interest will continue to accrue upon the total amount of the skipped payment until such time that the skipped payment is repaid in full. You may repay the skipped payment at any time. Personal lending products and residential mortgages are offered by Royal Bank of Canada and are subject to its standard lending criteria. RBC offers competitive rates & personalized advice to help you manage your cash flow and reduce debt.